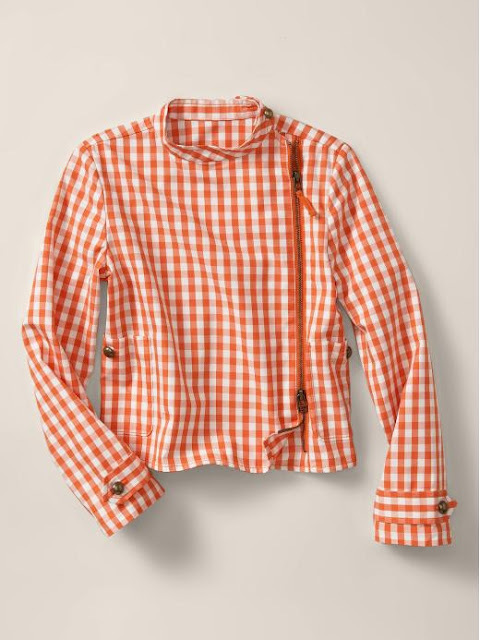 I loveee the new Stella McCartney for Gap collaboration, kind of jealous that she did not do a collection for grownups. If I had a kid this is how I would like to dress them. Hello Lovers, so I was not sure if I would post outfits that I wore because currently I don't have a good camera and my boyfriend takes very bad pics lol, but then I decided to give it a try, maybe he gets better taking pics and then if the outfit post have a good outcome I would get a nice camera. Here we go. Miami weather was incredible this weekend. I went boating with my boyfriend. 1. Who would have thought that clogs would be in style again. It really reminds of my childhood and that they were super noisy. Chanel, Dries Van Noten , Marc Jacobs and Prada all had clogs in their Spring/Summer 2010 collection. I think this is going to be a fad, maybe I am wrong, they say a true trend is when an item has been in three consecutive collections. I really don't know if they are for me, let see how that goes. 2. The side braid was the "IT" hair trend for the catwalk. It is worn loose, like if you had your braid and then layed on your pillow. 3. 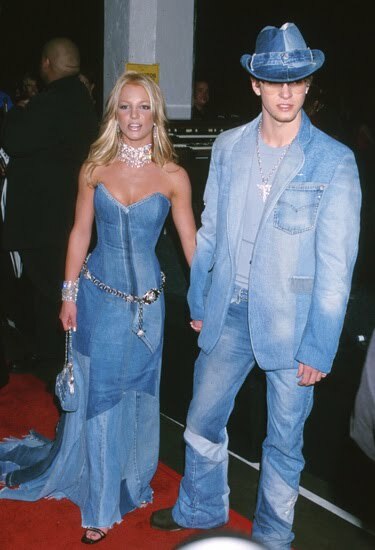 Denim on denim would be one of my favorite trend for spring. You may think this trend is easy to wear, but sometimes too much denim or the same color of denim all over can make you look very updated, as if you were stepping out of an 80's music video. This is NO NOOO ! ever. 4. Mixing Prints. Mixing prints is a great way to be different, nobody can have your same outfit if your mixing prints. I like mixing stripes with anything floral or try mixing floral with something military, it is chic yet dramatic. Some ideas I like. Alexander Wang Wedges with three different prints on them. 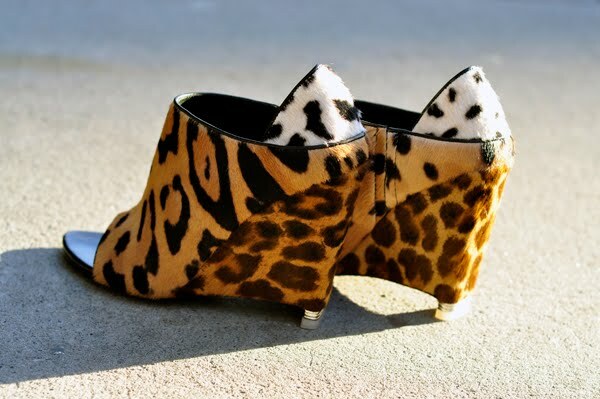 I am not big on animal print,but I would love these a lot. Right now they are sold out everywhere. 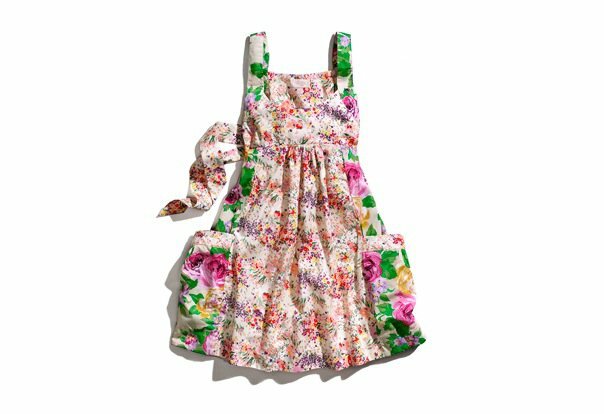 H&M dress has two different floral prints in one. I saw this dress yesterday in the new H&M store in Orlando, kind of mad that I did not get it, but I got some other cool stuff that I would wear over the weekend. Trying to decide if I will be posting what I wear, but don't know yet, because the only one that can take pictures of me is my boyfriend and he has a shaky hand when taking pics. Keep you guys posted, hopefully by Friday I won't have a cold. 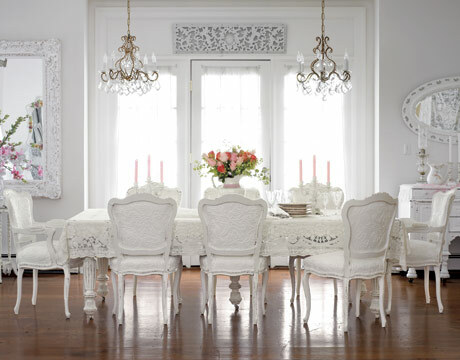 A huge trend right now is having a long dinning room, instead of putting one big chandelier, interior designers are putting two chandeliers at the end, that way the whole tale can have some lighting. 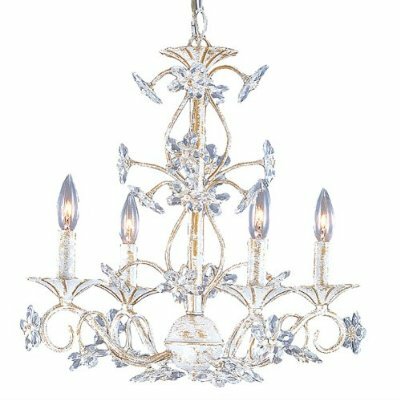 What is better than one chandelier ? 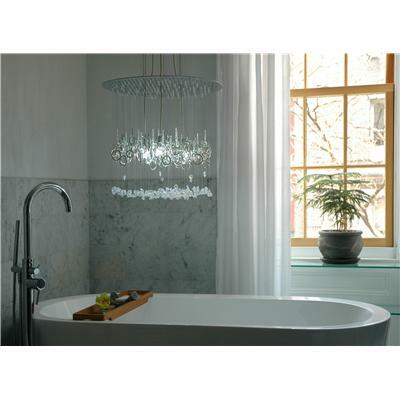 TWO chandeliers. OMG Zac Posen designed a line for target that will be in stores April 15th. I dying to get some stuff from this amazing designers. Here are my top picks. 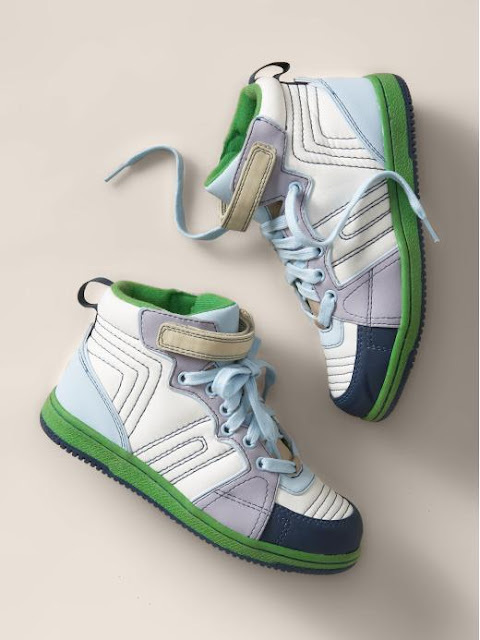 Jeffey Campell Tick, they retail for 170.00, I really want this but they are sold out everywhere, I have try in ebay but they are selling it for double the price :(. 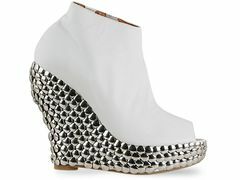 I loveeee these Alaia shoes, they are 45% of in www.outnet.com. 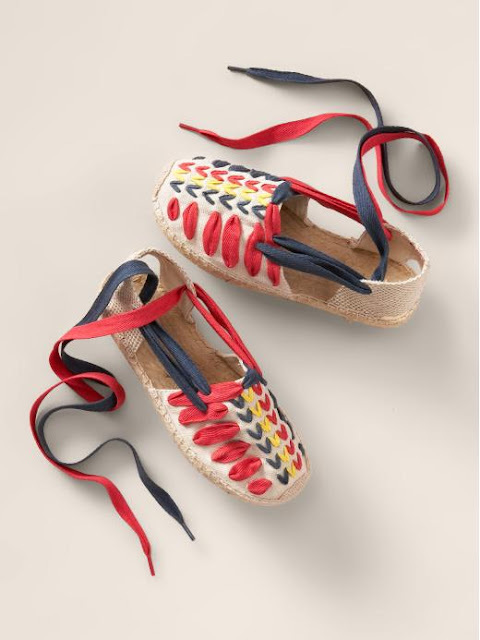 These shoes are perfect for spring, I can picture wearing these with floral dresses and fun prints. Want them !! One way to wear the cutout style and don't break the bank. 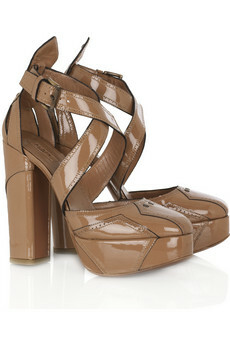 F21 Cage heels for 24.80. Loving them, I wonder if they are comfy. At the end of 2009 we were introduced to the warrior trend. Every fashion enthusiast was carrying a studded bag or shoes. 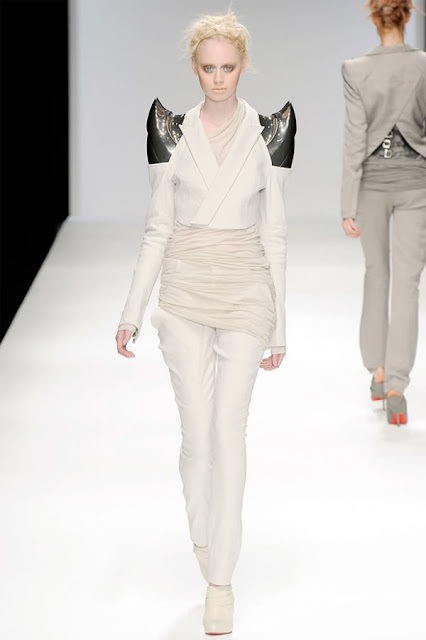 For spring 2010 this trend had a little twist, just imagine if a Amazonian princess had a baby with hum an astronaut lol, the outcome : Futuristic Warrior. One of my favorites designers right now. Balmain Spring 2010 was all about the Future Warrior. 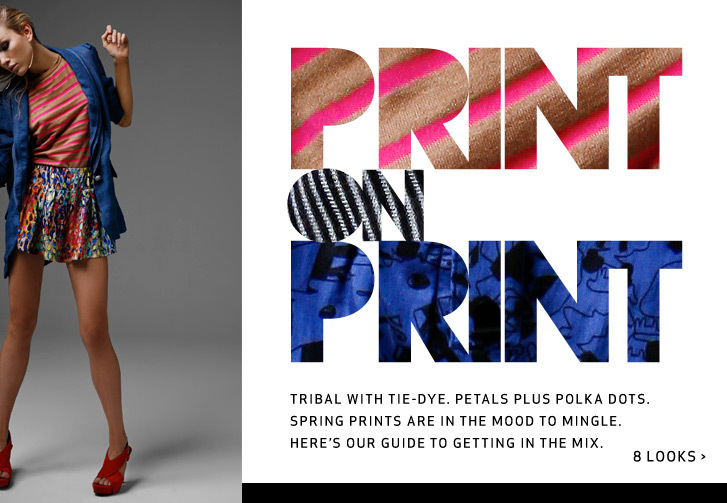 The warrior trend is a mix of the military trend and the tribal trend. A few ways to wear this trend is by incorporating metallic structured pieces to your wardrobe like a metallic boyfriend jacket. Leather combine with lace is another way to rock this trend, don't be afraid to try this but be careful not to overlook leather. I also found this Robert Rodriguez dress in E bay, The bid is still open. GORGEOUS. Maybe I can buy it and adjusted it to my size. I would be posting my warrior looks later and great items I bought this week. Today I signed a contract with Zia Zahira beachwear, I am going to be Florida's exclusive distributor, I would be distributing to all Florida stores and also other inquires around the world, we offer amazing wholesale prices. This is pretty big for me, I'm super excited, can't wait for all the samples and look-books to arrive. I looking to the opportunity of being in Mercedes Benz Fashion Week Miami trade show lets see how that goes. I'll keep you guys posted. 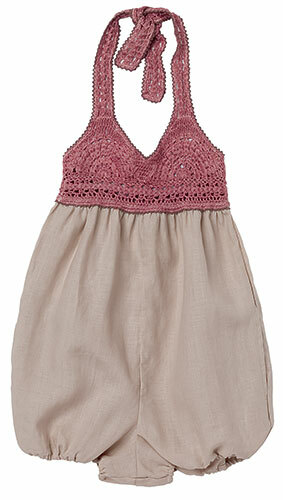 Oh I almost forgot this collection is Amazing , perfect for any fashionista, that wants to look good by the pool side. Visit www.ziazahira.com.